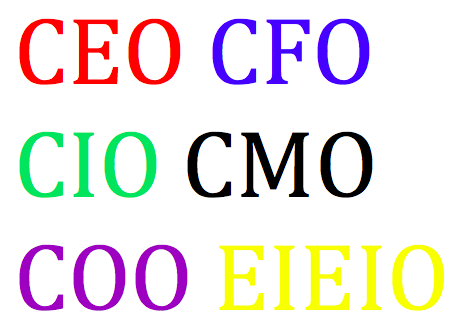 If you are the manager or marketer of a brand, especially of an organization-level brand, you need to know how to speak the language of organization’s leadership team. Here are some hints on how to do that. First, you should think of the brand’s marketing plan as a request for a certain amount of resources for a specific return on that investment. For instance, if you spend $X million building and promoting this brand, its market share will increase by Y% and its sales will increase by $Z. When thinking through any recommendation, consider how it will play with each organization function. How will it help them? In what ways might it be misunderstood by them or even be a threat to them? Know that senior managers manage by the achievement against specific objectives. The more you can quantify what you will achieve with the brand the better. It is very useful to get a key brand metric to be included in a balanced organization scorecard. Brand awareness, brand preference, market share, share of wallet and attitudinal loyalty are all candidates for this. Enlist the CEO as the chief brand advocate. Help the CEO to understand that the organization brand’s promise is not that different from the organization’s mission, vision and values, except that it delivers the added benefit of relevant differentiation. Ask permission to insert brand-related messages into the CEO’s speeches, fireside chats and other communications. The CEO can use the brand as the platform to align his or her leadership team and then rally all of the employees around his or her vision. 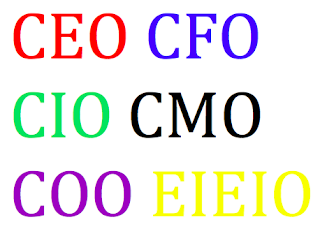 Help the CFO to understand that the brand is an asset, an asset that adds tremendous value to the organization’s reputation, stock price and total valuation. Assets need to be managed so that they grow, not shrink. There are several ways to appeal to the HR vice president. The linkage between brand archetype/values/personality and corporate culture is strong. A brand can only deliver on its promise if the organization is designed to deliver on that promise. The HR and marketing functions are similar in two ways: (1) they both deal with very important organization assets that have a touchy/feely non-quantitative human side to them that not everyone else in the organization understands and (2) they are often the first functions that receive budget cuts during financially troubled times despite their importance to the organization. And the external brand promise and the employer brand promise must have some congruence. They are dependent on one another. Finally, one of the primary benefits of a strong brand is that it helps an organization attract, hire and retain talented employees. The vice president of operations may not understand the importance of the brand or of marketing in general. That is why it is very important to include him or her in all of the brand strategy formulation discussions so that he or she has a better understand of and buy-in to key brand strategy and investment decisions. It is also important to understand how certain brand actions might create conflicts with or difficulties for operations including increasing complexity or costs. The chief information or technology officer will need to understand how the company's computer systems and other technology either enhance or detract from the brand's promise. It is important that this person understands how the brand's promise is a key part of the organization's success formula. If he or she does not understand this, projects that can impact the brand might be assigned much lower priorities. The sales vice president will be better able to sell the brand through his or her organization if the brand’s elevator speech is built into selling scripts. It is useful to include input from salespeople in the crafting of that elevator speech. They know what helps sell a brand. The general counsel typically understands the importance of protecting the brand legally so that its equity is not diluted. You should work with people in his or her department to insure that the brand is being legally protected, preferably proactively. The most important thing is to involve the entire leadership team in the crafting of the brand’s strategy and positioning. We offer consensus-building brand positioning and brand architecture workshops for this purpose. Finally, you should always consider how your actions will be perceived by people responsible for the organization’s different functions. Put yourself in each executive’s shoes. What will his or her concerns be regarding your proposals? Think though how you can address those concerns. And how can you speak their language and show them that your proposals can help them and their organizations? Finally, don’t do this alone. Enlist each of these people as a mentor or informal advisor to your process. People like to be heard and they often like to serve as mentors. And never forget that people’s egos need nourishment every once in awhile.